Wolf offers personnel basket transfer training to the offshore industry, including platform-to-vessel and vessel-to platform crew change and emergency evacuation transfer. This training program will help you learn safe practices and operations for inspecting, operating, and riding transfer devices. 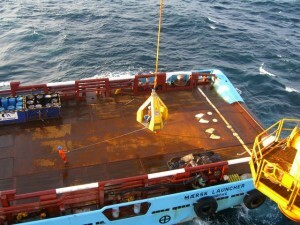 The personnel transfer basket has been used many times over the years to transfer personnel to and from offshore installations. These days, safety is the top priority of the offshore oil industry, and personnel transfer is no exception.